Travellers to South Africa and the African continent as a whole often define their experience by being able to have a wildlife encounter of some sort. 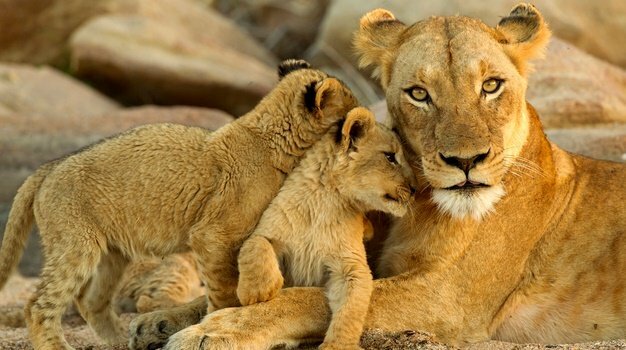 These 13 incredible sightings, showing the likes of this mega lion pride are but an inkling of what Kruger and the rest of Africa's wildlife enclaves can dish up. World Wildlife Day is celebrated on 3 March by the United Nation each year. The movement is in honour of the many beautiful and varied forms of wild animals and plants on our planet. It also raises awareness of the urgent need to reduce the threats facing them. As a result, the Department of Environmental Affairs will be partnering with Wildlife and Environment Society of South Africa (WESSA), United Nations Development Programme (UNDP) and eThekwini Municipality to celebrate. This year's celebrations will take place under the theme “Life Below Water: For People, for Planet”. According to a statement by the DEA, our ocean contains nearly 200 000 identified species, but actual numbers may be in the millions. Globally, it says the market value of marine and coastal resources and industries is estimated at US$3 trillion per year, about 5% of global GDP. #LifeBelowWater have sustained human civilization for millennia. But today they are under serious threats, incl. overexploitation, #pollution & #ClimateChange. Acknowledging this heritage and contribution to the continent's economic potential, South African Tourism CEO Sisa Ntshona, speaking to Traveller24 at Meetings Africa says, "South Africa as a country has actively taken the decision to wean ourselves off mineral resources and mining. Tourism is one way to diversify the economy”. He considers the continent's wildlife heritage an important niche in securing a lion's share of the events and conferences taking place globally. The MICE industry indirectly sees a third of all first-time conference visitors returning to South Africa for a holiday with their family. “With wildlife as an example, there is absolutely no reason why wildlife conferences should happen outside of the continent, when actually it relates to the continent itself." Similarly South Africa's Minister of Tourism Derek Hanekom emphasised its these business events that allow for knowledge sharing around issues of continental or global concern, such as endangered wildlife, climate change or health challenges – whether it be health, engineering or agricultural conferences as examples. See the full interview below. Added to this, Ntshona remains convince that as a country South Africa is able to lend its experience and exposure as a top MICE destination, to other parts of the continent that need it most, in order to grow. Those wanting to participate in the World Wildlife Day events can head to Treasure Beach Environmental Centre Durban, on the 02 March 2019. School learners from the Motsepe Foundation, Ramaphosa Foundation and learners within the eThekwini Municipality will be partake in outdoor learning programmes facilitated by the DEA, WESSA and eThekwini Municipality officials.